View Cart “Handcrafted Artisan Colorblock Style Women’s Tassel Bracelet” has been added to your cart. 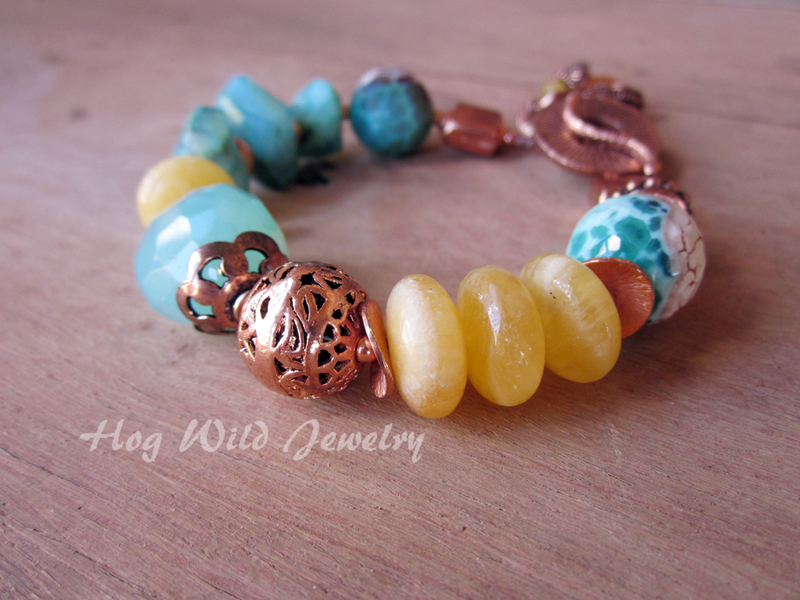 Handcrafted Artisan Aqua Quartz Yellow Jade Bracelet designed by Tamara. 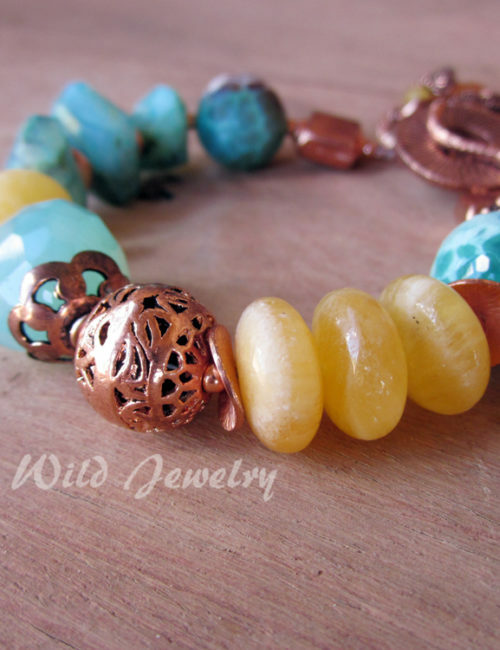 There is something really yummy about the color palette of this bracelet. 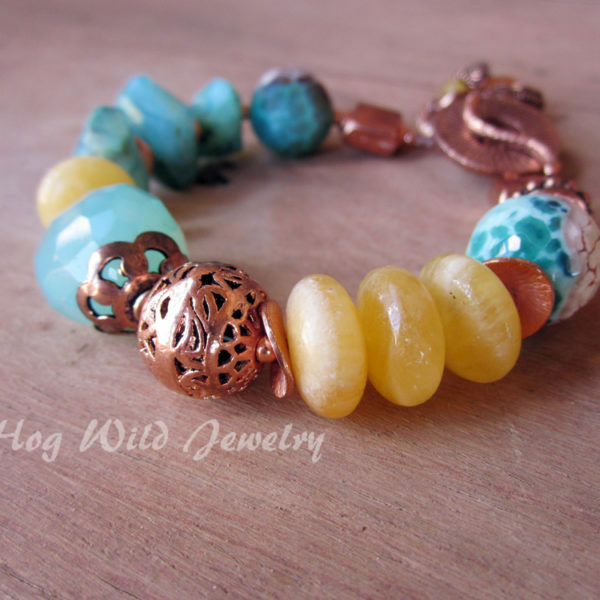 Handcrafted Artisan Aqua Quartz Yellow Jade Bracelet designed by Tamara. 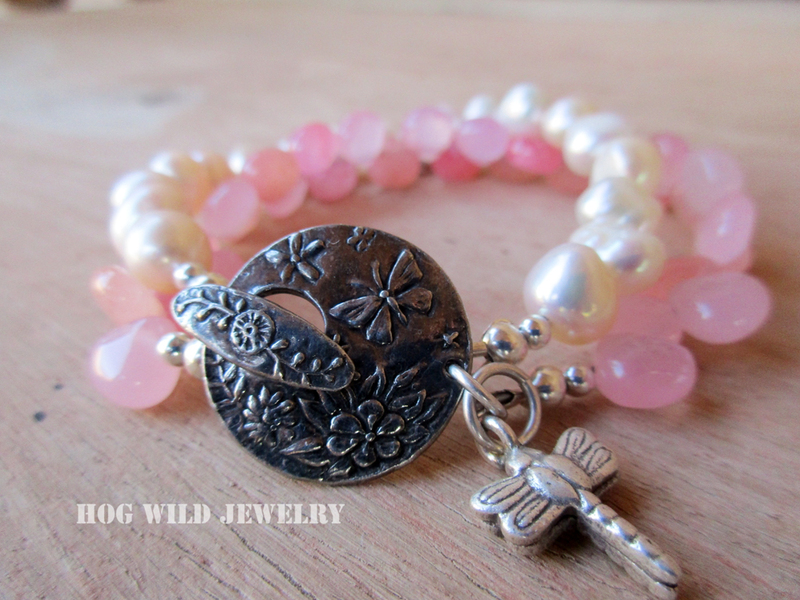 There is something really yummy about the color palette of this bracelet. 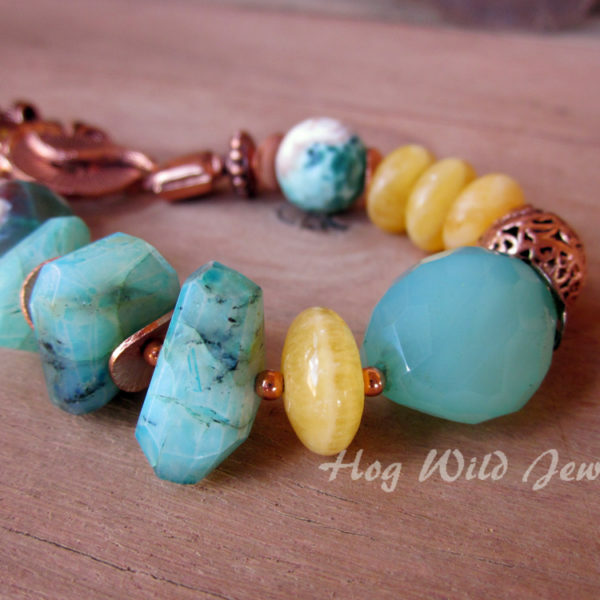 Yellow, aqua and copper. 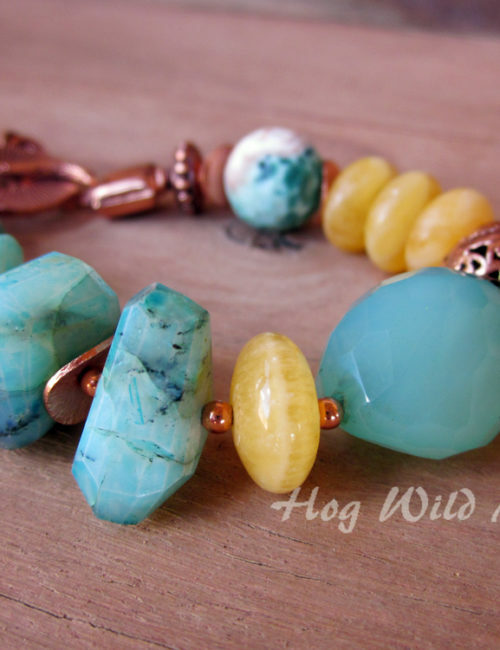 A huge (approx 25mm) faceted aqua colored quartz as the focal bead paired with a creamy butter colored yellow Jade. A single round faceted Agate stone bead with some organically faceted quartz beads. 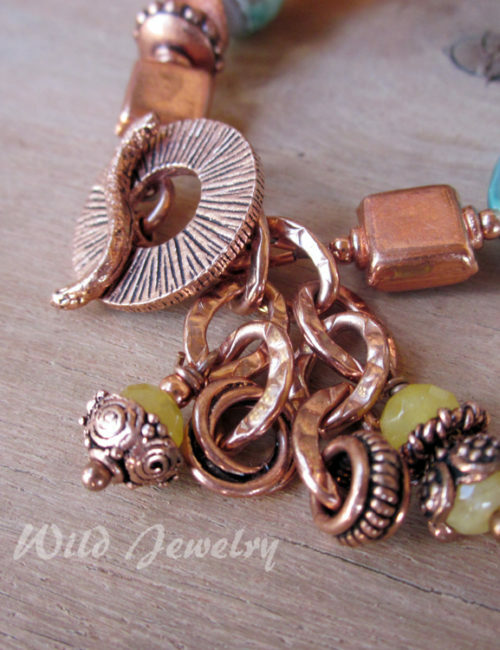 All of this is tied together with Copper and it makes for a delightful bracelet. 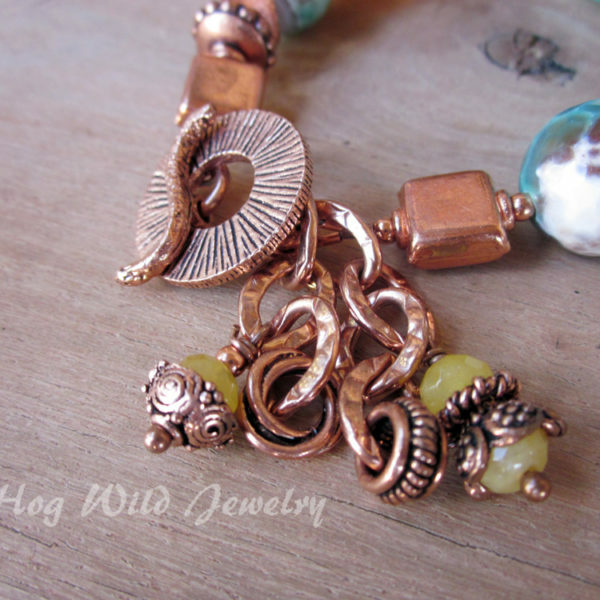 Copper chain with counterbalance beads with a solid copper toggle closure. 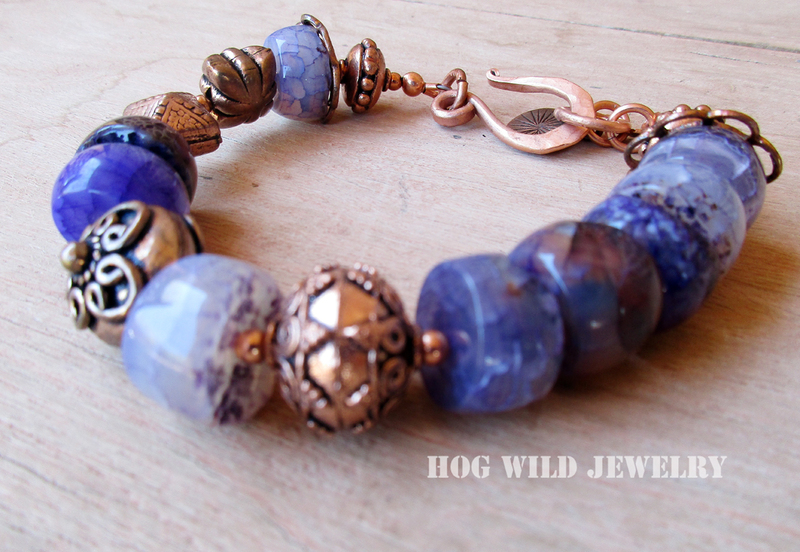 Solid copper Bali style beads throughout. Enjoy! Measures 7â€³. can be size adjusted just email me with your size requirements for the perfect fit! Craftsmanship is always guaranteed, so shop with confidence. We use the highest quality stringing wire, crimps and wire guards for many years of enjoyment. We love and enjoy using Sterling Silver as our main metal of choice.Â However, we have also added solid Copper to our arsenal.Â We will always use these two types of metal unless otherwise described.Â Our chainmaille designs are made from hand cut sterling silver/solid copper jump rings.Â All of our pieces are designed and created in our home studio in Cave Creek, AZ USA. 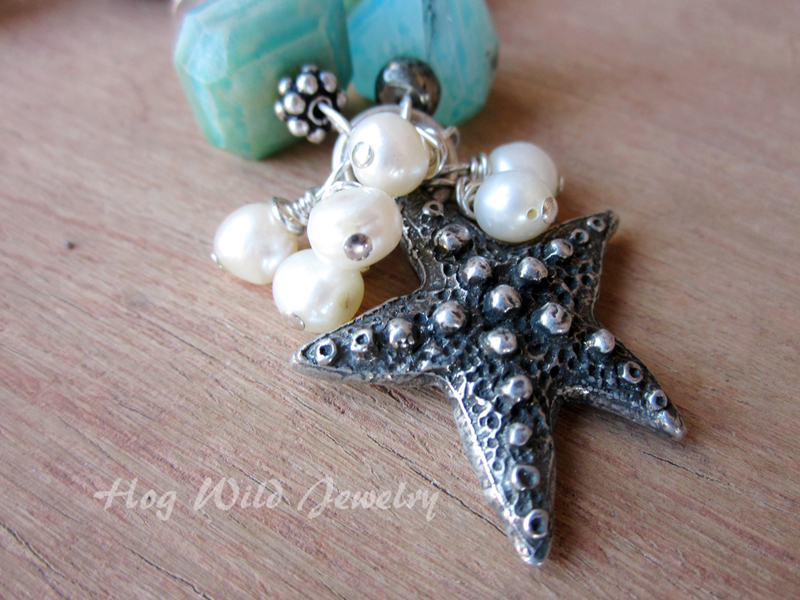 Thank you for supporting our handmade Artisan jewelry. 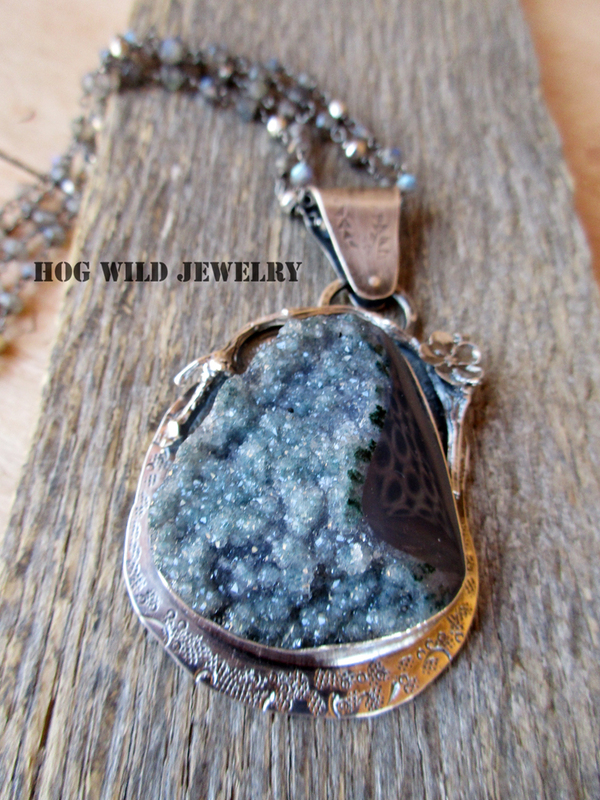 Â Wear your pieces in good health and Enjoy!